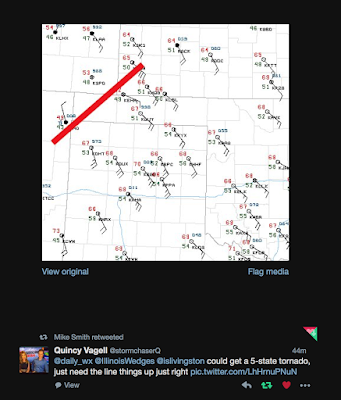 MSE Creative Consulting Blog: Five State Tornadic Supercell? Above is video of three tornadoes in a very sparsely populated area of the High Plains. 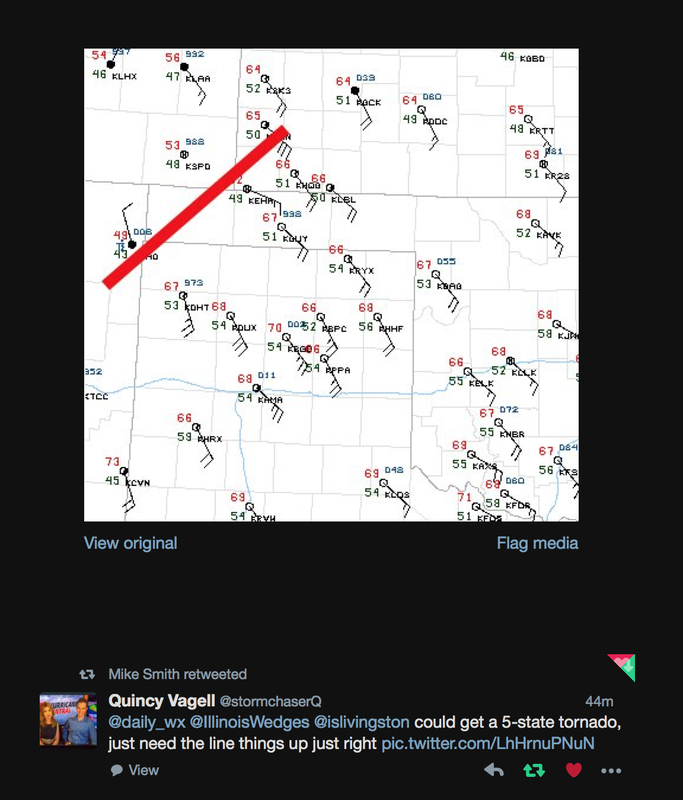 Via Twitter, we learn that it is possible that the parent supercell thunderstorm may have produced tornadoes in five states!